What are the benefits of the XC system? 1. You have a box at each end of the fence, this can be fitted to a Pillar or Mobile cross country fence. 3. Add and grow the more boxes you have the more versatile your set becomes. "A really practical cross country range. 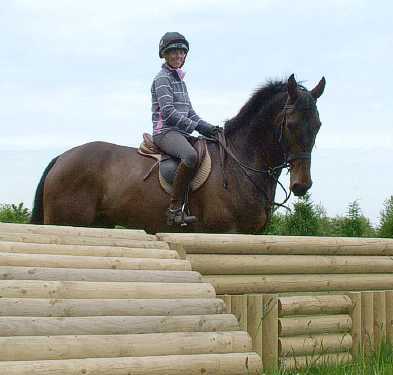 Its great to have several fences in one and at adjustable heights therefore suiting both young and experienced horses"
All are constructed to stand just above the ground to allow the use of Fork lifts although they can be carried short distances with two or three people. A full specification for each design is available on request. All framing is bolted and screwed. If you choose to anchors the xc system, we recommend that you use 3 anchors per pillar.